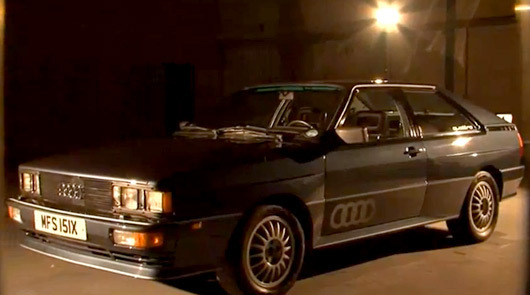 Time for a look at an old rally legend now, with the Audi Quatrro. It’s a car we’ve featured in our Past Master series and we’re always keen to see new material. This review from the Fifth Gear web team gives a reasonable insight into the car’s history and modern day context. Shame about the smoke from test car! You can see the review in full after the break. how much blue smoke is that thing chugging out? !